Two leathers are used in this stunning duo. 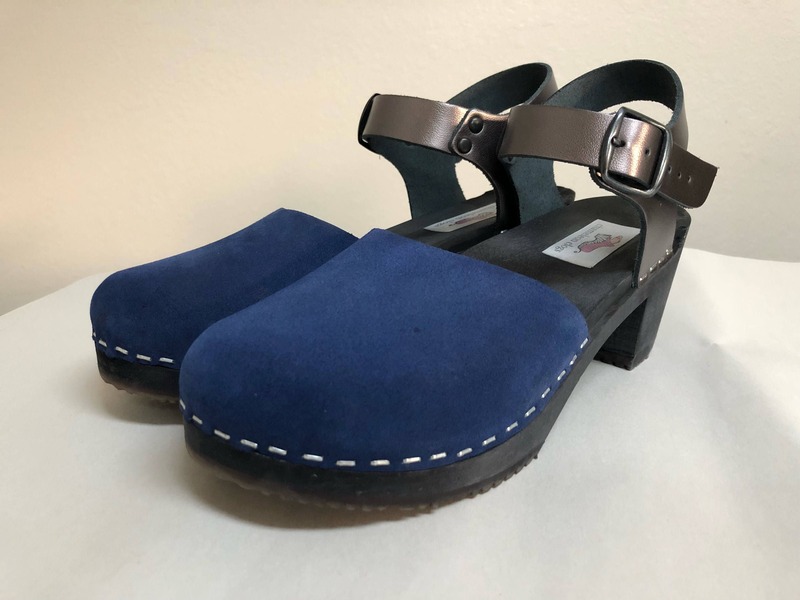 Blue suede for the fronts and pewter for the buckled ankle strap. made up on a black dyed medium heel (2 .5") and finished with a black buckle. Love!! !